(MissionNewswire) Salesian Missions joins the United Nations and the international community in celebrating World Toilet Day. Celebrated each year on Nov. 19, the day brings the world’s attention to the global needs of sanitation and marks the founding of the World Toilet Organization which started on Nov. 19, 2001. The inaugural World Toilet Summit was held on the same day and marked the first global summit of its kind. In response to this crisis, Salesian Missions, the U.S. development arm of the Salesians of Don Bosco, has developed a Clean Water Initiative that has made building wells and supplying fresh, clean water a top priority for every community in every country in which Salesian missionaries work. In honor and celebration of World Toilet Day 2018, Salesian Missions is proud to highlight Salesian programs around the globe that aid in the development of appropriate and effective water and sanitation systems. Boys attending the Don Bosco Rehabilitation Center for Street Children at Ramanthapur in Hyderabad, the capital city of southern India’s Telangana state, have improved bathroom facilities thanks to funding from Salesian Missions. 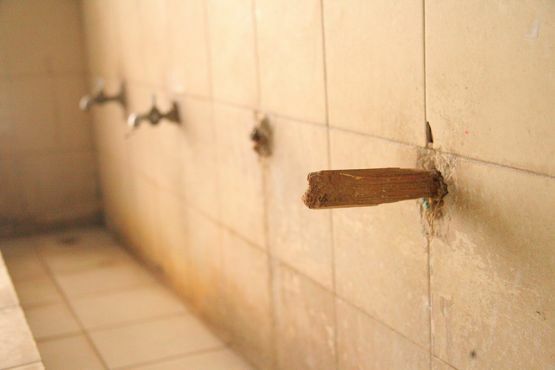 The funding, provided through a Salesian Missions “Clean Water Initiative”, was used for a major renovation of the bathroom facilities at the center. Minor repairs were made, 10 urinals reconstructed and pipes cleaned. Don Bosco Navajeevan has four centers in the twin cities of Hyderabad and Secunderabad where more than 300 children, both boys and girls, are living and gaining an education. The Don Bosco Rehabilitation Center serves 150 at-risk boys and provides accommodation, food, medical care and education free of cost. The boys, ages 6 to 16, were street children, child laborers and orphans. Poor youth and their families attending the Mary Help of Christians parish located on the island of Mindanao in the Philippines have access to clean, safe water thanks to funding provided by a Salesian Missions “Clean Water Initiative.” The Salesian parish cares for more than 1,400 Catholic families who live in five surrounding villages. The parish holds spiritual formation, meetings and other pastoral activities and gatherings for its parishioners. It also operates a small farm next to the church which contributes to the daily sustenance of the Salesian community in the district of Calinan. Recently, work needed to be completed to improve a water system in Dacudao. With the funding provided by Salesian Missions, the project was able to be completed. It entailed the installation of a water pump and pump house, water tanks and pipe lines. 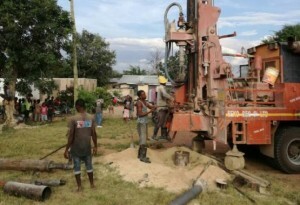 An 8-inch, 100-meter deep water well borehole with a 6-inch casing was dug followed by the installation of a water pump. Constant discharge pumping tests were done and the construction of a pump house was also completed. Construction of a raised water storage stand and the installation of a water tank completed the project. 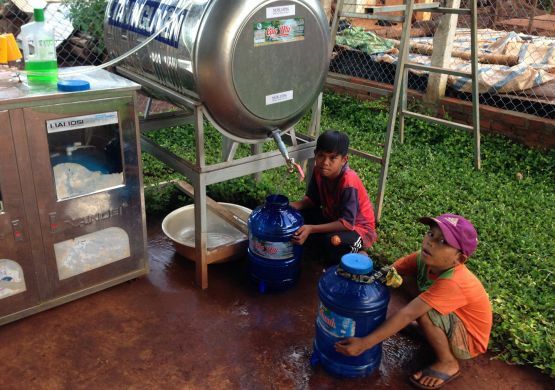 Residents of Dacudao now have an additional source of clean water which is able to serve about 2,000 residents. Faucets placed strategically on the farm provide access to water for many nearby residents as well. The new water supply was effective in helping those affected by the December 2017 typhoon, Tropical Storm Vinta, which damaged a large area in Mindanao and impacted those living in the district of Calinan. Nearly 500 Salesian missionaries and parishioners from Don Bosco Ihumwa Parish and more than 4,120 community members in Ihumwa Village now have access to clean, safe water. In Dodoma, the capital city of Tanzania where the Don Bosco Parish is located, the water system was old and outdated. Water pipes were last installed there in July of 1998 and due to rapid growth and expansion in the city, the water supply was no longer sufficient. The lack of safe drinking water, coupled with poor solid waste management, sanitary conditions and personal hygiene, posed health risks for most households in the region and caused the prevalence of waterborne diseases. The existing water system could only reach about 44 percent of the population in the region falling far short of the need for potable water for all households within a 400 meter radius. In response, Salesian missionaries at Don Bosco Ihumwa decided to dig bore holes for the parish and the surrounding residents to supplement the inadequate municipal water supplied at the institution. Funding supported a project to dig a bore hole in the Salesian parish compound, construct reservoir tanks and piping within the parish areas and install solar panels to power a submersible pump. The completion of the water project has not only brought clean, safe water to the parish and surrounding communities but with the increased access to safe and easily accessible water, various other initiatives in the community are underway. Residents have been able to use the water for food preparation, hand washing and safe hygiene practices, laundry, cleaning and kitchen and garden activities in the targeted area. Residents of three villages in the Duc Co District in the Gia Lai Province in the Central Highlands region of Vietnam have access to clean, safe water thanks to funding received from a Salesian Missions “Clean Water Initiative.” Salesian missionaries have been able to establish six wells within the three villages: one in Nuk, two in Ba, and three in Khop. Salesian missionaries report that the residents of these villages are extremely poor, most making their living through agriculture, handicrafts or by being hired for tapping rubber. Many students drop out of school because they are needed to help support their families. Those who stay in school attend only part of the day, spending the other part working to glean rubber latex to earn enough money to pay tuition fees and meals. For more than 10 years, residents of these villages have had to use streams and rainwater for their drinking water and other purposes. This water is often contaminated and causes people, especially children, to become sick. For this reason, Salesian missionaries chose to start a water well project both for the health and safety of residents and to encourage youth to stay in school. The water project included drilling wells, establishing pumping systems, creating water tank reserves for 3000 liters and putting in filtration systems. Salesian Father Vincent Nguyen Thanh Trung, who lives in the Chu Prong community, coordinated the implementation of this plan and helped the local Salesian priests bring it to fruition. A team of professional and experienced craftsmen were hired to implement the majority of the drilling and construction work.